When we connect the cable harness to the connector and the industrial electrical equipment, we can greatly improve the swing or drag stress to protect the wire from damage when the connectors and wires are linked at a reasonable distance to the Strain Relief. This pressure can cause the wire and connector to fall off or worse when the weight of the crane, traction, or wire changes at the sensitive junction. 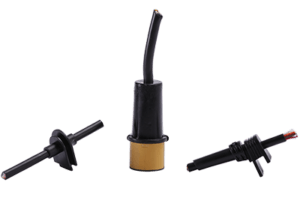 QL-Custom use the Cable relief to reduce the external force on the wire will help prevent drawing and play an important role in any twisted system.